The Junior suites consist of a king-size bed and integrated living room with sofa – double extra bed and balcony. Total area of the room is 55 sq.m. 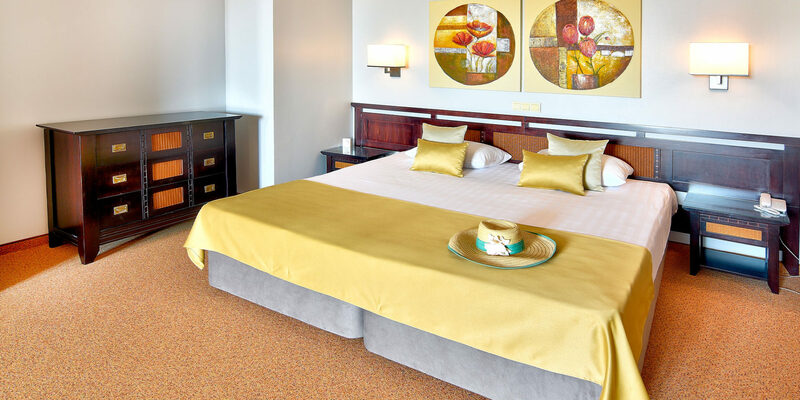 All 10 Junior Suites are located in the central part of the hotel overlooking the sea side. Minimum occupancy is 2 adults + 2 children or 3 adults + 1 child.